had to worry about selling or renting their own place. 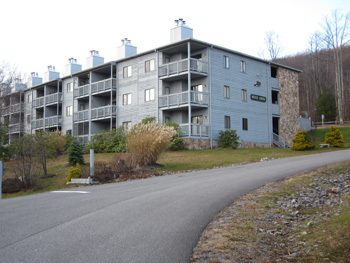 Beaver Ridge Resort is a complex of 60 condominiums located in beautiful Canaan Valley, West Virginia. Canaan Valley and the surrounding area offer a friendly atmosphere and considerable activities during each season. It is a wonderful place to plan a vacation or invest. Despite the advantage of location, there have been unique problems associated with Beaver Ridge that are making ownership here more of an embarrassment than a status symbol. While spiraling sales prices might attract unwitting buyers over time, real estate savvy investors will know that there are underlying reasons for the decline. The many problems and controversies that distinguish this association from others stem mostly from the remarkable power attained by the long-time president and the arbitrary way in which it is exercised. In fact, many are afraid to speak openly about their concerns for fear of a lawsuit or some other form of retaliation. Association members are under strict orders not to share information with outsiders. This especially includes real estate agents (as the protected "Owners Area" on our official site specifies). As a result, investors make decisions based on misleading information supplied by board members and do not have an accurate understanding of the issues that will affect their experience. In addition to rising costs and a plummeting reputation, Beaver Ridge is plagued by security concerns and known safety hazards. The president is accused of rationalized bullying that needlessly impacts quality of experience and cost of ownership for all. Rather than resolve known issues, other board members simply tell disillusioned investors that they "should have known" what they were getting into. We'll do our part to get the word out.